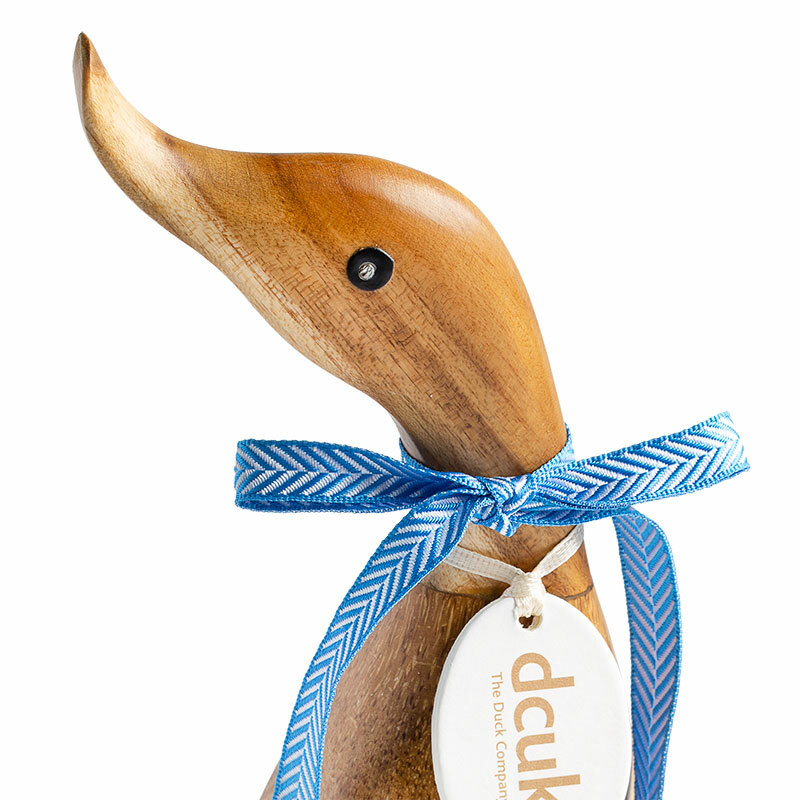 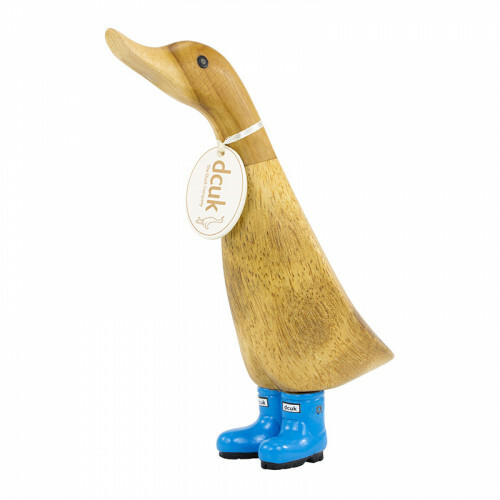 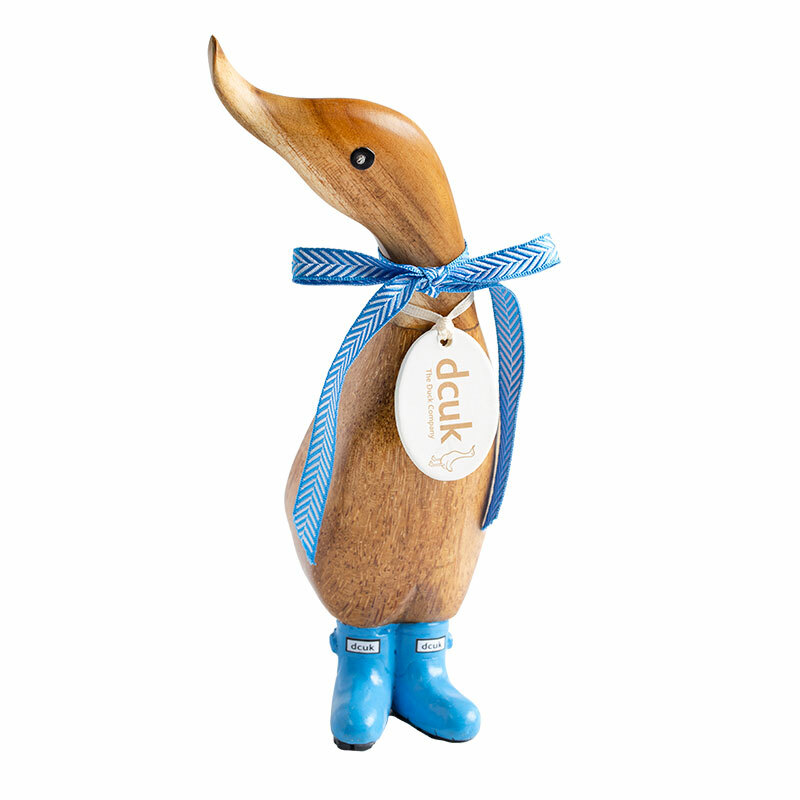 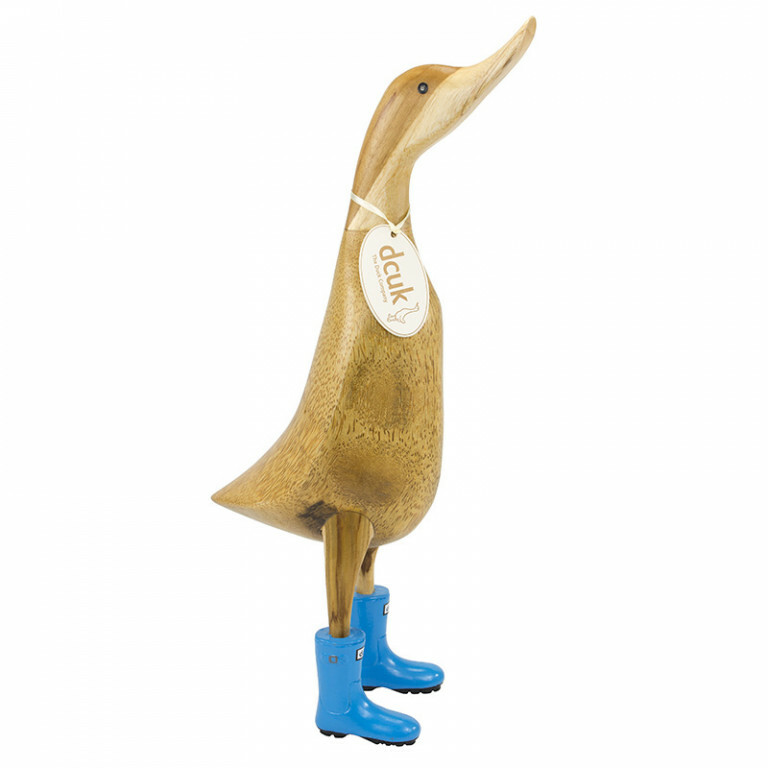 Natural Finish Duckling with Caribbean Blue coloured wellys - standing approximately 18cm high, Hand carved, with a randomly selected name and name tag (unless requested) and the choice of a gift box. 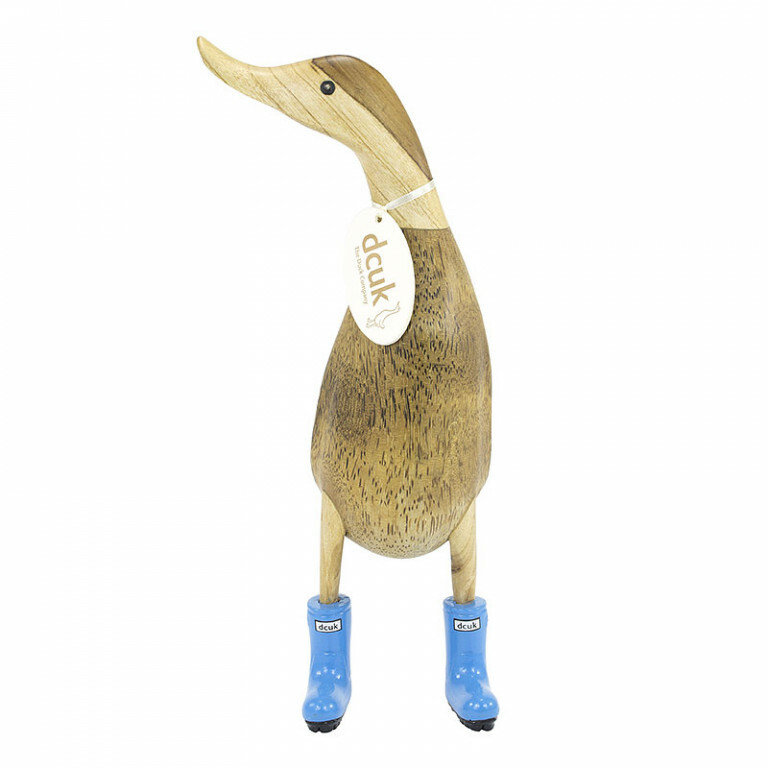 Please note, all text on tags is in lowercase . 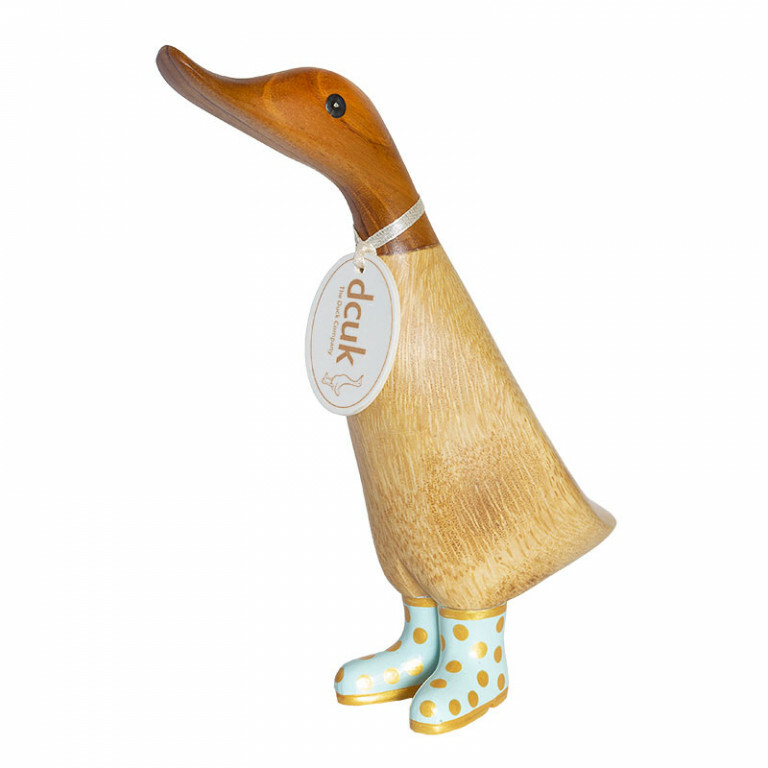 Please only state a name if you have chosen "Choose your own name".